David H. Janda, M.D. was a practicing orthopedic surgeon based in Ann Arbor, Michigan and a member of a nine-member orthopedic surgery group from 1989 until his retirement from medical practice on January 1, 2017. Dr. Janda is also the Director and Founder of the Institute for Preventative Sports Medicine, based in Ann Arbor, Michigan, which is the only health-care cost containment organization of its kind in North America. Throughout the years, Dr. Janda’s academic career has been highlighted by a long and impressive list of awards and distinctions. Louis Buller Gohmert Jr. is an American politician who currently serves as the U.S. Representative from Texas' 1st congressional district, in office since 2005. A member of the Republican Party, Gohmert is part of the Tea Party movement. In January 2015, he unsuccessfully challenged John Boehner for the position of Speaker of the House of Representatives. Lawrence Patton McDonald was an American politician and a member of the United States House of Representatives, representing Georgia's 7th congressional district as a Democrat from 1975 until he was killed while a passenger on board Korean Air Lines Flight 007 when it was shot down by Soviet interceptors. A conservative Democrat, McDonald was active in numerous civic organizations and maintained a very conservative voting record in Congress. He was known for his staunch opposition to communism. He was the second president of the John Birch Society. Diane Roark is an American whistleblower who served as a Republican staffer on the House Intelligence Committee from 1985 to 2002. She was, right after 9/11, "the House Intelligence Committee staffer in charge of oversight of the NSA". Along with William Binney, Ed Loomis, and J. Kirk Wiebe, she filed a complaint to the Department of Defense's Inspector General (DoD IG) about the National Security Agency's highly classified Trailblazer Project. Her house was raided by armed FBI agents in 2007 after she was wrongly suspected of leaking to The New York Times reporter James Risen and to Siobhan Gorman at The Baltimore Sun in stories about NSA warrantless surveillance. This led to her suing the government in 2012 because they did not return her computer, which they had seized during the raid, and because the government failed to clear her name. The punitive treatment of Roark, Binney, Wiebe, and Loomis, as well as, and, in particular, then still active (rather than retired) NSA executive Thomas Andrews Drake, who had gone in confidence with anonymity assured to the DoD IG, led the Assistant Inspector General John Crane to eventually become a public whistleblower himself and also led Edward Snowden to go public with revelations rather than to report within the internal whistleblower program. President Eisenhower warned us about the military industrial complex. 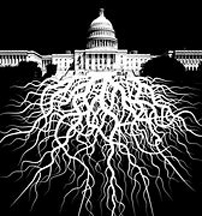 Robert David Steele "Uncovering the Deep State, What's next?"